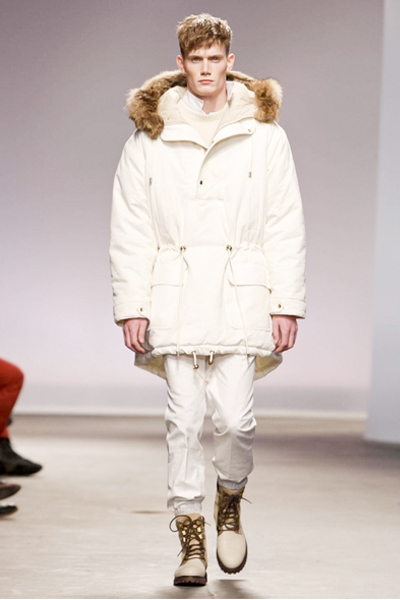 TopMan Design AW13 is basically what I’d like to look like while hiking up the Mt. Everest or backpacking all over Europe during winter. 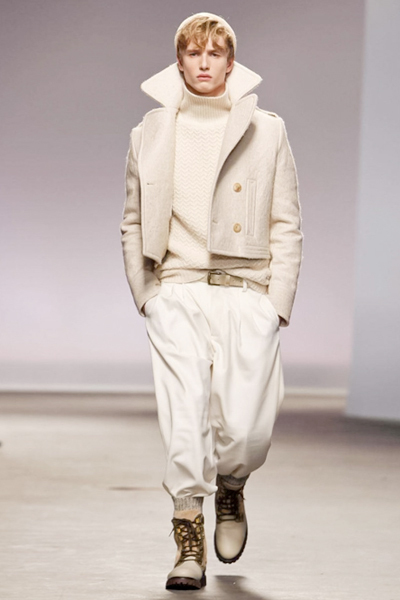 The collection makes me think of a very chic traveler on a European expedition. 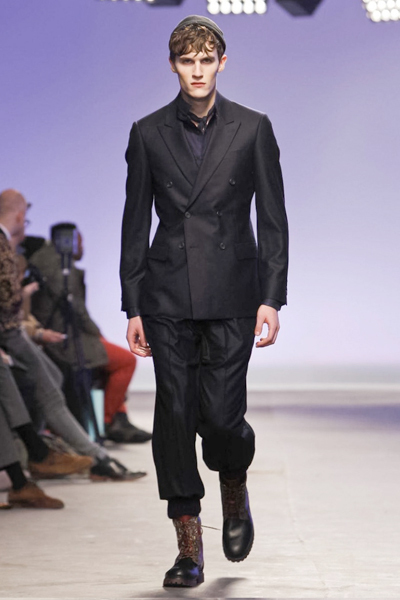 Topman Design also introduced a lighter and more relaxed take on men suiting this season. 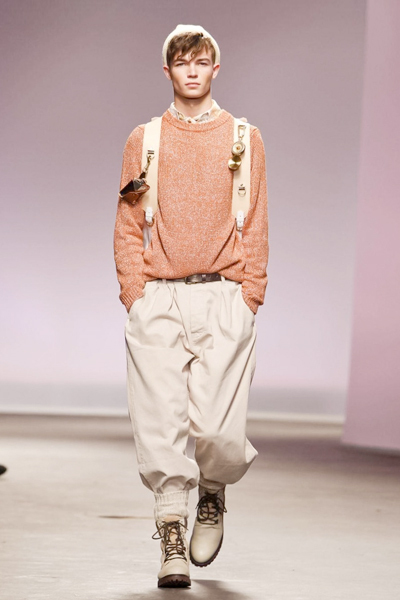 Blazers paired up with loose trousers styled with hiking boots and thick knit socks. 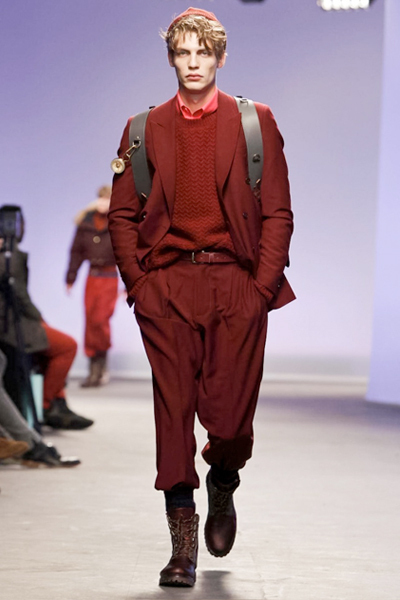 My favorite is the burgundy double-breasted blazer worn with loose trousers, toque (beanie) and boots all in the same color — with very little hint of pink shirt peaking through a burgundy knit sweater. I also think the addition of compasses/pocket watch and iphone cases is very clever and witty. 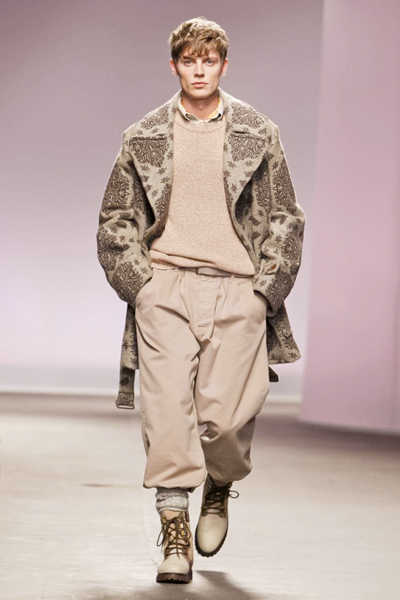 There are many great outerwear from this collection as well, particularly the bulky fur-lined-hooded anoraks and cropped-parka which sits just right above the waist. 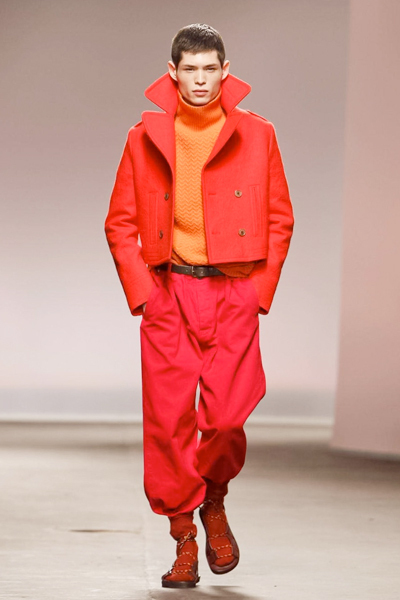 It’s all about the utilitarian combination of smart wear and sports wear, a theme that was repeated throughout the show in progression of colors from cream, beige, coral, Amber orange, fuchsia, red, burgundy, dark indigo to black. 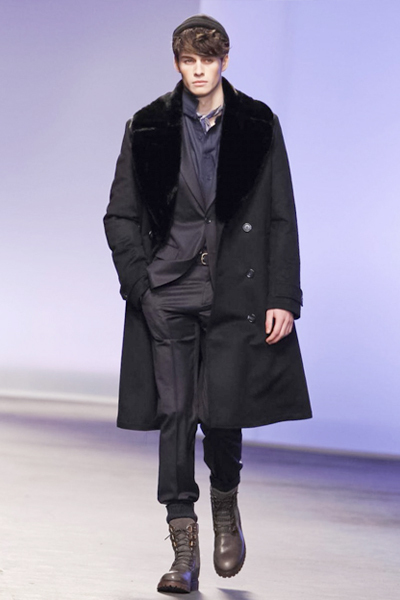 And who would miss that finale look with a 3/4 length coat and a strong fur lapels? Certainly not me. 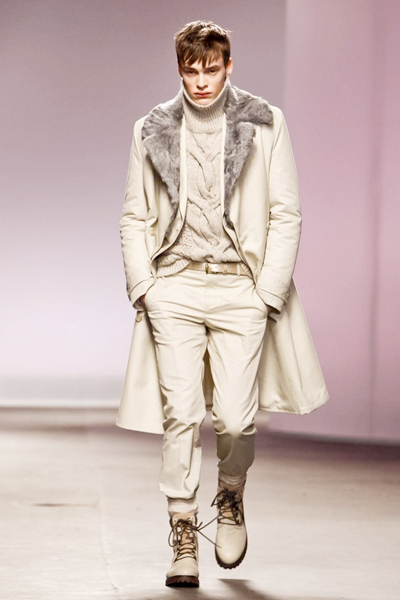 If you remember DSquared doing a Canadian-camping-chic collection for SS2013, this could totally be the British-Winter version of that. 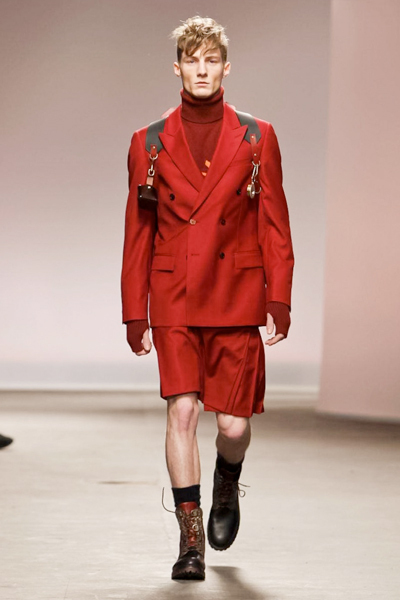 Below are my favourite looks from the collection.